Tucked away deep inside Fairmount Park, on the west bank of the Schuylkill River is Chamounix Mansion. Reachable only by the two-mile-long arrow-straight Chamounix Drive from Belmont Avenue, it is far from the Plateau or the three great dells that once formed the centerpiece of the West Park–Belmont and Lansdowne and Sweetbriar. Nowadays the mansion is a youth hostel and there’s a riding academy nearby. But its location, on a spur far from the park’s main centers, renders it remote for those who do not have anything to do there. It is all but forgotten to the average park goer. 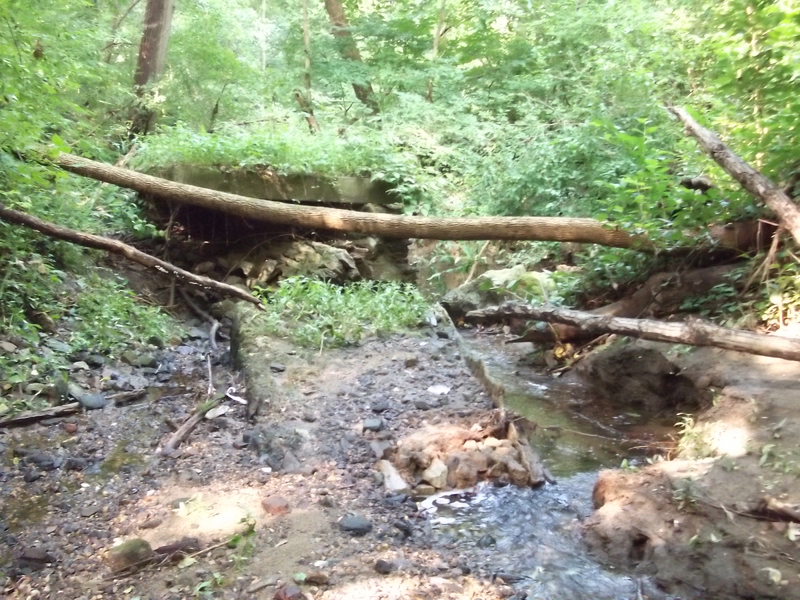 But, truth be told, this fourth dell was once one of the park’s major attractions–and even today, it holds in equal doses wonder and mystery and sweet calm. While land deeds on this site go all the way back to Pennsylvania’s founding–at one time it was part of Governor Thomas Mifflin’s vast holdings–its history proper only really begins after the revolution, when, in 1799, merchant George Plumsted bought the tract at sheriff’s sale and some three years later erected his country estate. Upon his 1805 death, his executors discovered his books were as crooked as James Logan’s Walking Purchase and that he was actually in debt up to his eyeballs. His family was forced to sell the site. Benjamin Johnson, a publisher who’d made a fortune selling law books, bought it and about a decade later sold half the land (including the mansion) to another Benjamin, a Warner. He, however, discovered he’d bitten off quite a bit more than he could chew, and by the time of his 1829 death the property was heading into foreclosure. Somehow, however, the estate managed to secure and retain ownership of the site. Some early evidence suggests the builders may have called it Montpelier. It sits on a hilltop by a curve in the Schuylkill River, and its day would have had a commanding view all the way from the Falls of the Wissahickon down to Belmont. But by the 1830s, while the estate was under the care of Joseph Warner–the late Benjamin’s brother–it came to incontestably be called “Chamounix*.” Eventually, in 1853, it was again sold, this time to one Topliff Johnson and family, who then converted what had previously been a summer home to a primary residence. Major alterations were made inside and out, a large Gothic carriage house was built, and when, in 1867, it came under the control of the Fairmount Park Commission, this was the state it found itself in. Chamounix was never as grand or stately as the villas in the Centennial District or east of the river, but its dell was one of the most beautiful; crowning it was one of the park’s most impressive water features, and Fairmount Park proper’s only natural waterfall: Chamounix Falls, a cascade and bridal veil plunging down successive schist scarps, with the retaining pools Chamounix Lakes offering what were likely natural swimming holes in between. So popular was this feature that Chamounix Drive was extended from the estate atop Prospect Mount across the dell to the Falls Road to provide better access; when the Fairmount Park Trolley was built in the early 1900s, it featured a stop here; and sometime during the same era Midvale Avenue was built from Chamounix Drive through the forested upper dell, what a park guide published for the Centennial Exhibition called the “Valley of Chamouni” (sic), all the way to Ford Road. During this era the estate was used as a boarding house, restaurant, and café during the summer. This all changed during the 1950s with the construction of the Schuylkill Expressway. The lower dell was destroyed, Chamounix Falls buried under a hundred-foot embankment shouldering the interchange with the Roosevelt Expressway. 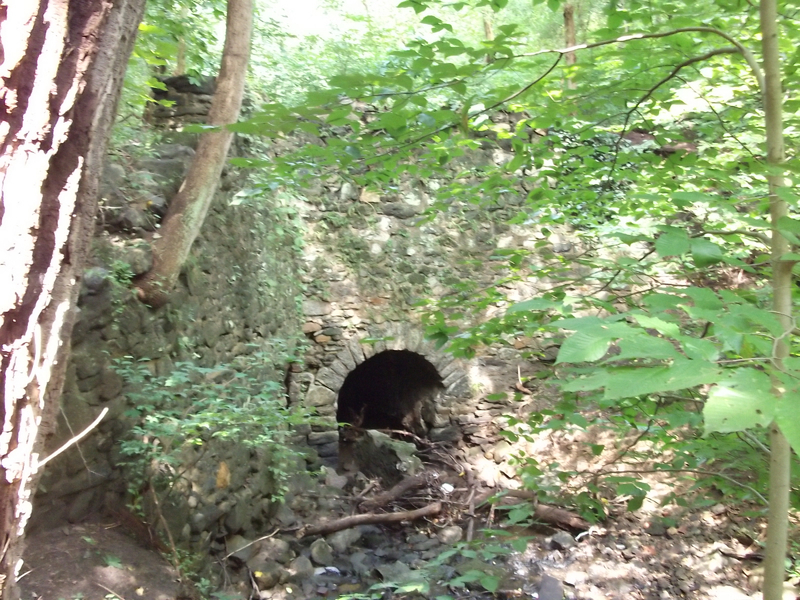 Large parts of Prospect Mount’s north slope were peeled away, and both the trolley and Chamounix Drive were cut off. Chamounix itself caught fire and was nearly lost. 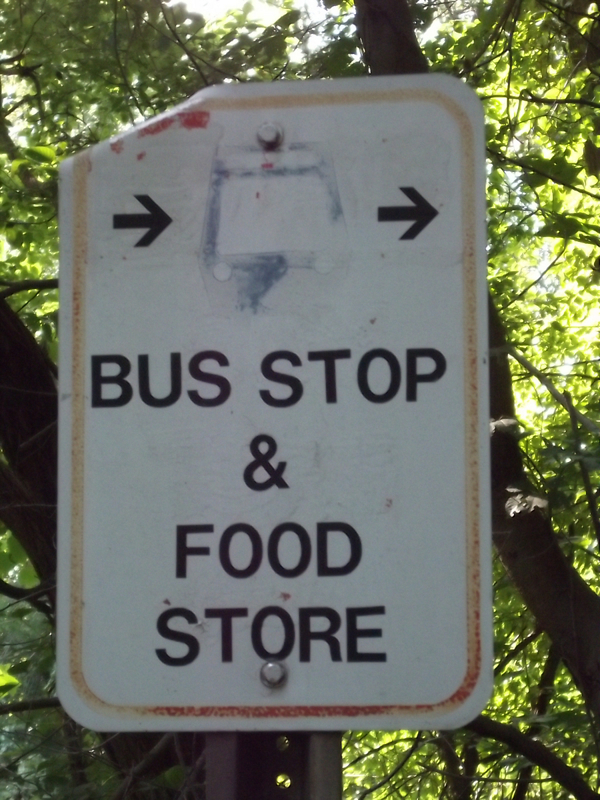 The trolley was abandoned, as were both the uppermost stretch of Chamounix Drive and all of Midvale Drive. The steep slopes, combined with years of weathering, have conspired to erase what remains of their alignments. And the Schuylkill has sunk its secrets deep under its earth. But, for the persistent, secrets are yielded up. Railroad alignments, even for trolleys, are not so easily lost: you can follow it all the way down the dell from Ford Road to where piled earth and chain link signals the edge of the Schuylkill Expressway. Midvale has fared less well, all traces lost or imperceptible beneath the verdant tangle, save for a low concrete bridge across the valley-floor creek, and Chamounix Drive’s bed has become as a wadi. Follow it, and what look like stream pebbles resolve into chunks of asphalt and subroadbed gravel. 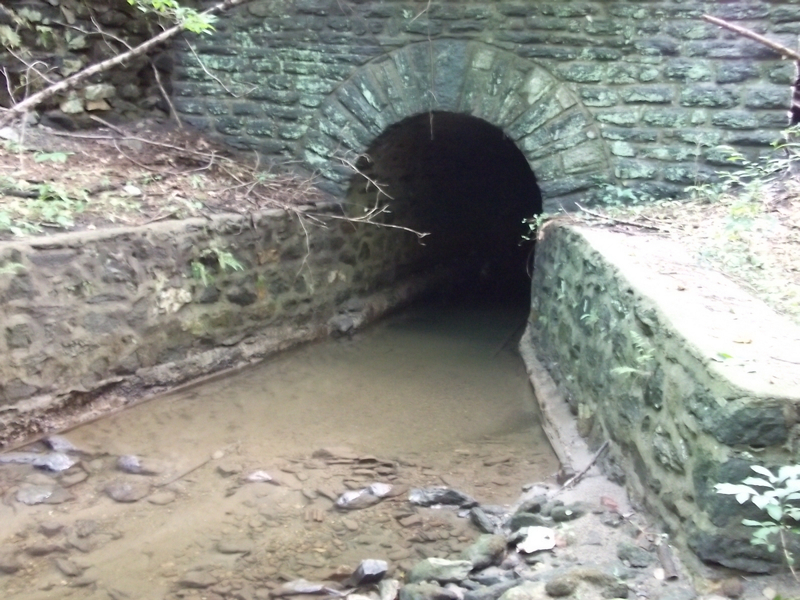 And, most impressively of all, two massive stone arches still stand where Chamounix Drive crossed its namesake dell: the first, an ancient arch over the valley stream, narrowing the channel to a culvert, and the second, a great leap over the trolley’s railbed. A trail still runs from the hostel in Chamounix over these bridges up to the Falls Road, and only users of this footpath have occasion to see one of the park’s great ruins. *Interestingly enough, both names come from places in France. Chamonix is the name of a valley on the shoulders of Mont Blanc, the town at its base, and the commune (something like a township) it sits in. Stephen Stofka is interested in the urban form and the way we change it. A graduate of the Geography and Urban Studies program at Temple University, he enjoys examining the architecture, siting, streetscapes, transportation, access, and other subtle elements that make a city a city. Really great article. I will now have to explore more. Great story. 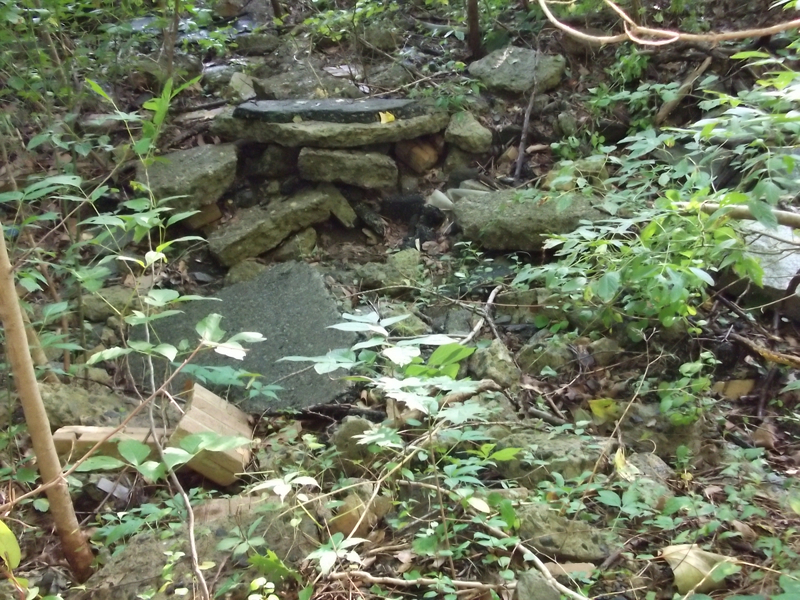 There is a stone basin of sorts and water flow just south of where this was. It is on MLK Drive just east of East Falls Bridge. Do you know if this was also part of the same Dell? The Falls Bridge was built to have a second deck for Midvale Avenue to cross the river. I hadn’t realized that a section of Midvale had been built on the west bank – I’ll have to investigate. Also, Mifflin had his country estate at what is now the intersection of Frederick and Eveline Streets. It was demolished in 1890, and it was there in 1790, so there are quite a few images and representations of it. Two more things. Chamounix is pronounced by locals with the accent on the middle syllable. There is a really interesting skew bridge under which the trolley ran. You can still see the ceramic insulators for where the wire attached to the bridge, and the bridge is in excellent condition considering its age and unorthodox construction. The more famous skew bridge crossing the Schuylkill is of course quite visible, but I hadn’t realized that it had a little brother hiding in the area. I’m looking forward to reexploring the area soon. Yes, that skew bridge is certainly a looker, especially from the remnants of the trolley line. Unfortunately it utterly flummoxed all my attempts to get a good photo of it when I was there.